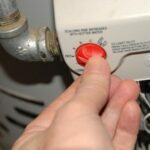 For instant hot water without the hassle or expense of plumbing an under-sink hot water dispenser tank, you can buy an inexpensive plug-in countertop hot water appliance that heats hot water in a flash. Instant hot water kettle quickly boils 1.5 liters of water. Two main types of countertop hot water dispensers are made: electric kettle style and one that looks like a small drip coffeemaker. 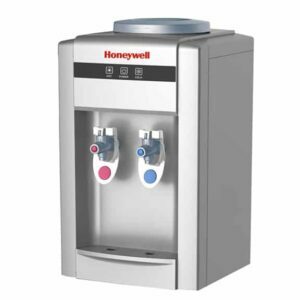 You can also buy a hot-and-cold dispenser that works like an office water cooler. Electric kettles are made by several manufacturers in glass, stainless steel, and plastic. 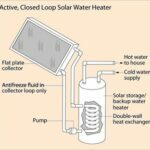 Most heat and hold from 6 to 10 cups of water. Cordless models that sit on a plug-in base are the most convenient way to go. 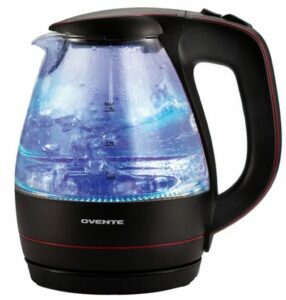 Popular brands for both glass and stainless steel electric kettles are Ovente and Hamilton Beach. With their products, you just fill the kettle, set it on the base, and turn it on. An LED lets you know when the water is boiling. 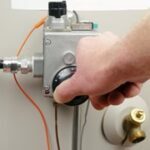 Pay attention to the size of the heating element, which may range from 1000 to 1500 watts. The larger the element, the faster it heats. Costs range from about $20 to $30. 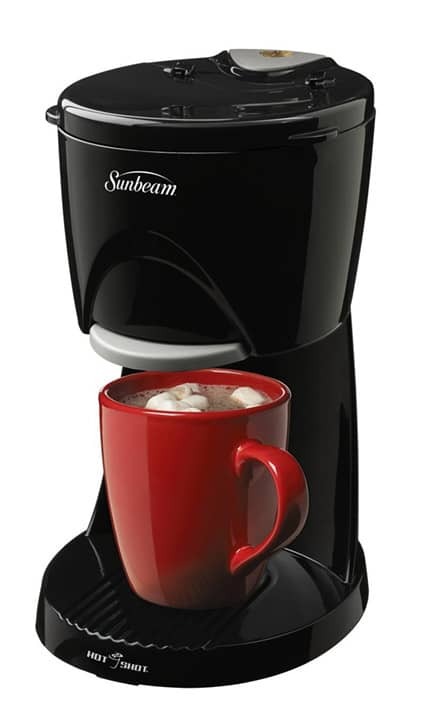 Sunbeam Hot Shot instantly serves a mug full of hot water for hot cocoa, tea, or soups. 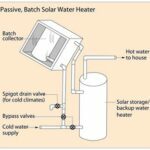 The Sunbeam Hot Shot is made more like a drip coffee maker. It will heat 16 ounces of water to near boiling faster than a microwave or a kettle. Note, however, that it only heats water for one mug or bowl at a time—and a tall mug won’t fit in it. You pour a cupful of water in the top, set your mug or bowl beneath, and turn it on. When the cycle is done, it shuts off automatically. 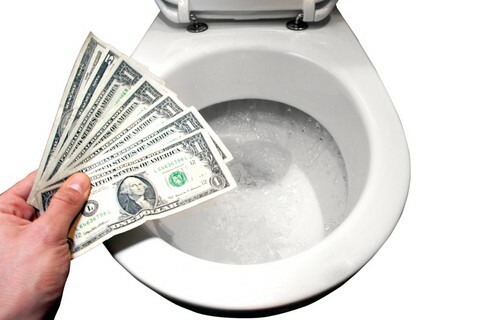 It’s recommended that you empty any excess water to prevent leaking or deposit build-up. It has a 1-year warranty. Cost is about $20. When equipped with a large water bottle on top, this dispenser serves hot or cold filtered water. You can also buy a tabletop water cooler that serves both chilled and heated water, patterned after the office water cooler. Some of these are made to hold a 5-gallon water bottle; others are not. The Honeywell 21-inch cooler shown is a popular model. Prices range from $100 to $200.